Brewer’s Description Freigeist is the experimental offshoot of Cologne’s revolutionary small brewery, Braustelle. Here we strive to break the chains of industrial brewing by reviving and updating Germany’s unique, historical beer styles. 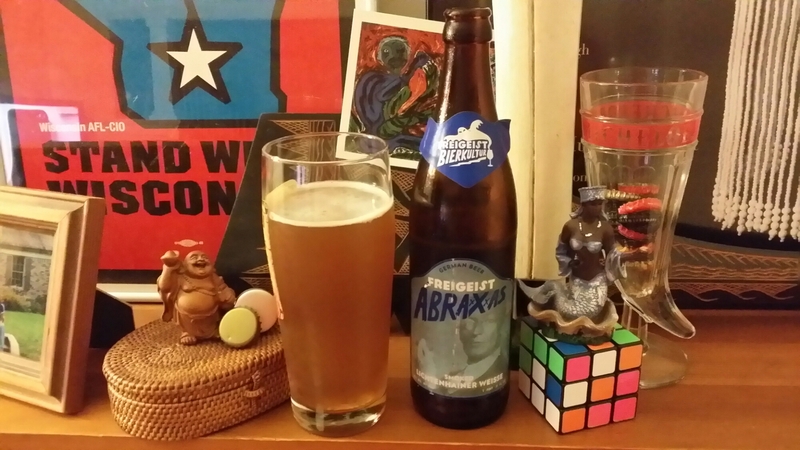 Inspired by the eastern German tart wheat beer style once known as “Lichtenhainer,” Abraxxxas is sour and complex, with a balancing smoky maltiness. Image | This entry was posted in Beer, Educate, Enlighten, rauchbier, Smokebeer and tagged 5 - 6, beechwood, Braustelle, Freigeist, Germany, Lichtenhainer, sour, wheat. Bookmark the permalink.